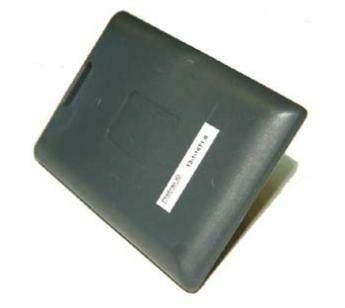 Active RFID technology utilizes passive readers with battery powered tags. 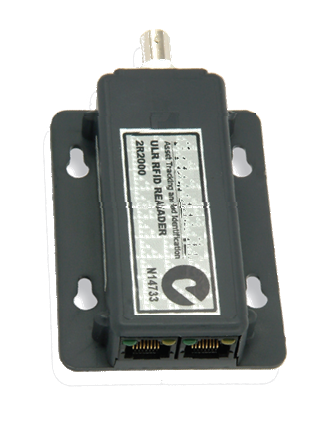 There are a variety of passive readers, with the following outputs: Weigand, RS-232, RS-422, Hardwired Ethernet and WiFi. 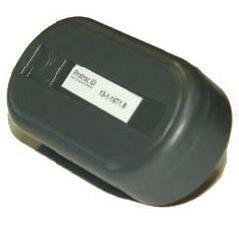 The active tags are available in a variety of form factors. 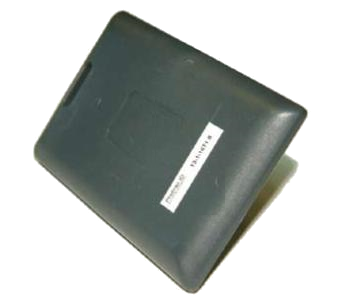 Active RFID readers are available in multiple output versions: Weigand, RS-232, RS-422, Hardwired Ethernet and WiFi. They are available in Power Over Ethernet (PoE). 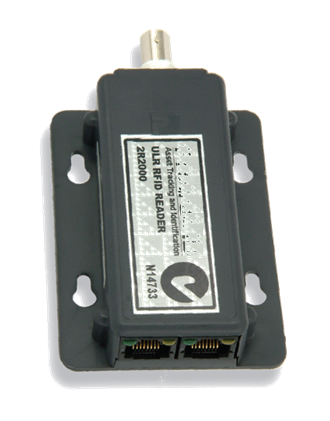 The reader, shown to the right, continuously monitors all compatible RFID tags within its adjustable range of 9 cm to over 50 meters. The readers are small, consume very little power and do not emit any radiation and adjacent readers don't interfere with each other. The detection range is changed by software control. They are available with a variety of antennae options to achieve the optimal range. Large adjustable buffer ensures tags are never missed even if network communications is temporarily interrupted.